REI rode into Kitsap last fall on a wave of enthusiasm. About 800 people waited in line (some overnight) for the opening of the new Silverdale store. The iconic sporting goods retailer’s entry into West Sound was hailed by both outdoor and economic development groups. To get a sense of REI’s direct economic impact, I pulled retail sales numbers for sporting goods stores in unincorporated Kitsap County. 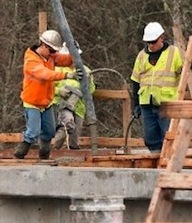 The May employment report for Kitsap contained at least one promising nugget. Kitsap’s labor force (the number of people either employed or looking for work) grew by an estimated 740 people between April and May, according to the state Employment Security Department. Employment among Kitsap residents didn’t grow over the same period, in fact 140 fewer people were working in May. Still, it can be seen as encouraging that more people are seeking jobs, rather than dropping out of the labor force. The slight drop in employment coupled with the rise in the labor force spiked Kitsap’s non-seasonally adjusted unemployment rate to 6.1 percent (see chart above). Unemployment in April was 5.4 percent. The statewide labor force also grew in May, while Washington employers added a modest 4,000 jobs. The seasonally-adjusted unemployment rate for Washington held steady at 6.1 percent. Washington employers have added an average of 6,560 jobs each month this year. Kitsap companies employed 200 more workers in May than in April, and 200 more than in May of 2013. The private sector added an estimated 400 employees between April and May. Government jobs dwindled by 200. 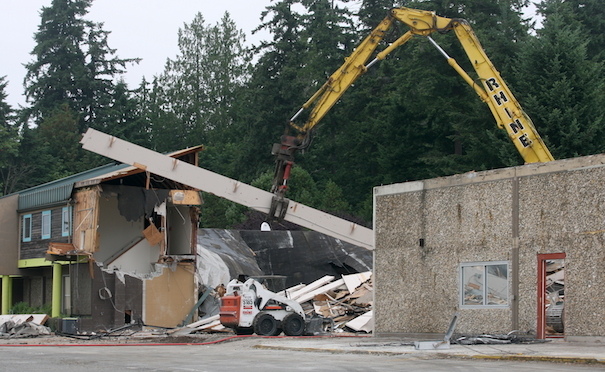 A prominent Poulsbo corner is being transformed this week as crews tear down the former Bad Blanche Outlet building to make way for a pharmacy and fast food restaurant. The 38,000-square-foot building, formerly Northwest Design Center, has long anchored the corner of Hostmark Street and Highway 305. A CVS pharmacy and to-be-announced fast food restaurant were recently approved for the site. Velmeir Companies of Michigan is developing the property. Want to propagate poultry or profit from pigs? The Washington State University Extension is offering a good place to start. The extension will host day-long classes on chicken and pig rearing July 11 at the Kitsap County Fairgrounds. The classes, titled Pork 100 and Poultry 100, are intended as primers for farmers interested in expanding into livestock production or refreshers for experienced producers. Each intensive class is eight hours. WSU instructors will also teach a Youth Livestock Quality Assurance course at the fairgrounds July 11. The class for young producers and 4-H participants covers all aspects of livestock production with an emphasis on meeting quality assurance standards. Topics addressed in the classes include nutrition, management on pasture, breed selection, genetics and reproduction basics, production and marketing and health. Courses are taught by WSU Extension meat and livestock specialists. 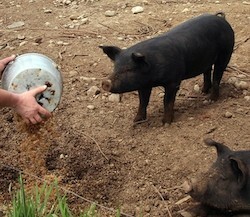 Each course will also feature a panel of local producers discussing livestock in Washington. Kitsap County workers earned nearly $1.50 less an hour than the average Washington worker in 2013. But they were $1.26 better off than employees across the U.S. The county also employed a disproportionately high number of marine architects and engineers. Those were a few takeaways from fresh local wage data released by the Bureau of Labor and Statistics last week. The detailed numbers, available for perusal online, estimate wages across all industries for May of 2013. According to BLS, the average hourly wage in Kitsap was $23.59. The national average was $22.33. That’s a 6 percent difference. The state average was $25.04, buoyed by the whopping $27.46 earned by Seattle/Tacoma/Everett workers. The Port of Bremerton received an audit report last week for its 2013 financial statements and administration of federally-funded programs. The Washington Beer Awards were announced Monday and Kitsap County was well represented. 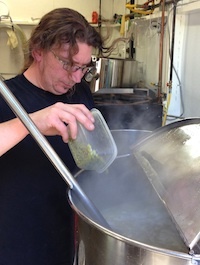 Rainy Daze Brewing (Silverdale), Valholl Brewing (Poulsbo), Silver City Brewery (Bremerton), Der Blokken (Bremerton), Sound Brewery (Poulsbo), and Bainbridge Island Brewing (um… Bainbridge Island?) combined for 16 medals. Sound Brewery made a clean sweep of the Abbey-Inspired Ales category. A local drug and alcohol abuse prevention group conducted random compliance checks on alcohol and tobacco retailers last week. The results were promising. 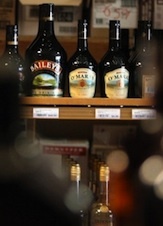 The Bremerton Substance Abuse Prevention Coalition tested 22 alcohol retailers in the city to see if they would sell to minors. Only three made the illegal sales, according to a news release. The coalition also checked nine tobacco retailers. None sold to minors. The coalition is a partnership between Kitsap County, Bremerton Police and the state Liquor Control Board. The agencies were assisted in the checks by investigative aides from youth groups at Emmanuel Apostolic Church and Living Life Leadership. The minors attempt to purchase tobacco or alcohol, and present their real identification or no identification when requested. The checks are conducted regularly in an effort to dissuade illegal sales. Enforcement officers can fine or suspend businesses for violations. Results from the Bremerton coalition’s checks were more positive than the findings of a state report released this year. The Synar Report found many Kitsap County retailers willing to sell cigarettes to minors. Silverdale diners will soon have another breakfast option. An IHOP restaurant is expected to open on Bucklin Hill Road in September. Franchise owner Mohammad Khadar will close his restaurant on Wheaton Way in Bremerton a week prior to the move. He plans to relocate staff to Silverdale. Khadar, a Mukilteo businessman who operates 12 IHOP locations in the Northwest, said he’s had his eye on the Silverdale market. “All the action is there, all the activity,” he said. The county approved a building permit this month to allow the restaurant to move to a 5,000-square-foot space at 3150 Bucklin Hill Road. The IHOP will join Little Caesars in a recently-constructed retail building just east of Silverdale Way, across the street from Hop Jacks. There are roughly 1,600 IHOP franchises across the country. This post was updated to include information from the franchise owner. The Bainbridge Island Downtown Association has named Jerri Lane to replace Andie Mackin as executive director. 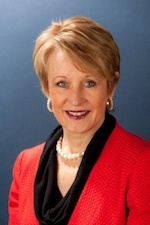 Mackin took a job at the Downtown Seattle Association this spring. Lane was most recently vice president of marketing at Visit Seattle. She also worked in marketing at Sheraton Seattle Hotel and The Westin Seattle.